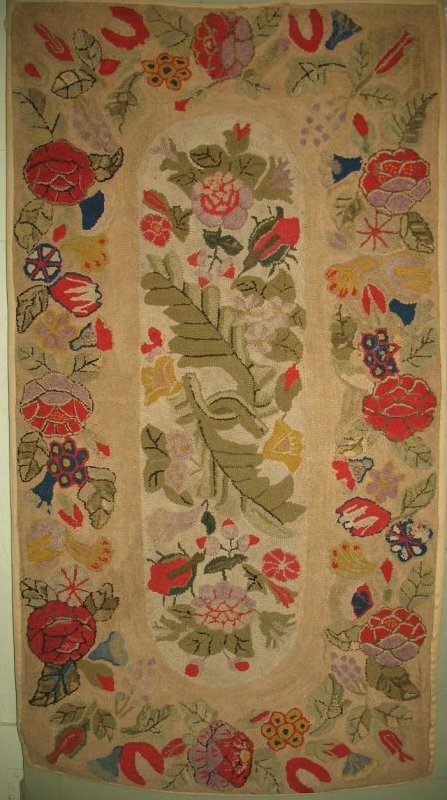 A generously sized hooked rug with abundant florals in both the long oval center spray and the wide floral border. Perfect for the floor or to hang for wall drama either vertically or horizontal. Fresh coloration in a lovely warm garden like palette mixing red and rose with camel and warm natural tones. Well balanced example of the form framing the central design with a significant border. Minor old repairs.